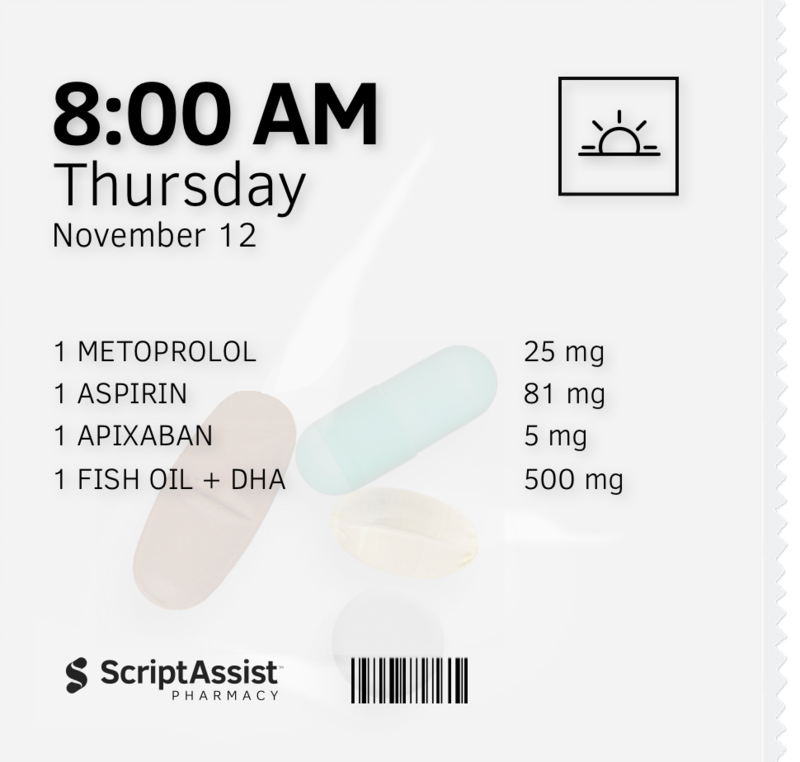 At ScriptAssist Pharmacy, we provide you with the easiest and most convenient way of managing your medical prescriptions, vitamins and supplements. We pre-pack and manage your doses with our easy to use pouch management system delivered directly to your home. 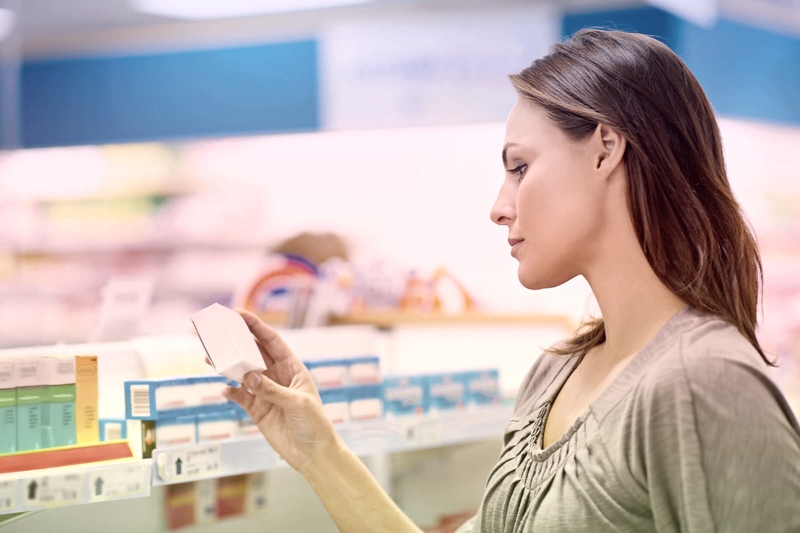 Stop waiting in lines, sorting pills and chasing down new prescriptions. 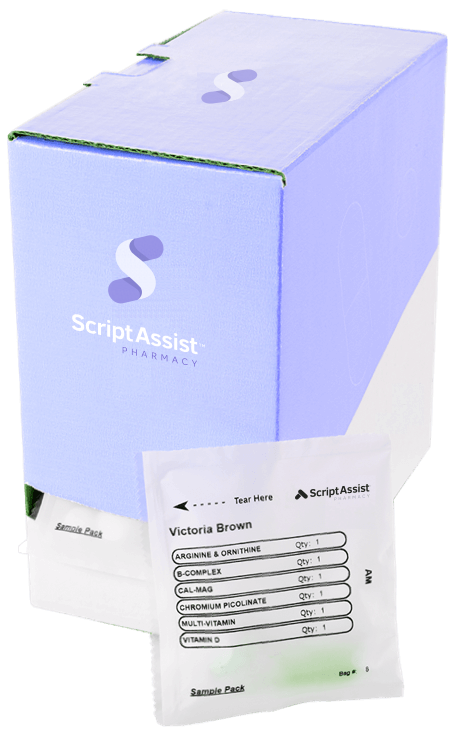 Let ScriptAssist Pharmacy do all the work for you. Your medication is pre-packaged with the exact dose measured and delivered right to your door. We monitor and manage your refills directly with your prescriber. 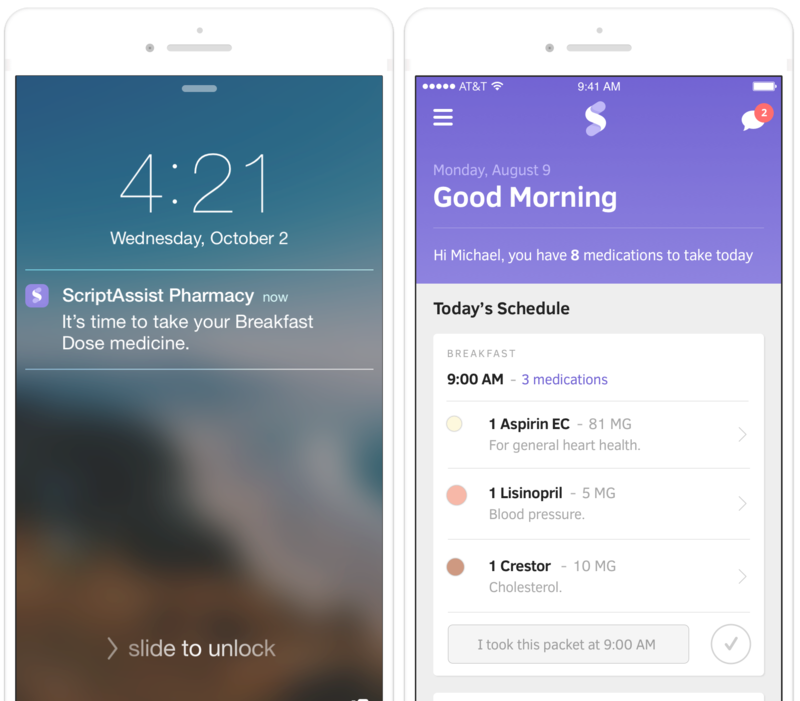 With our easy to use mobile and web dashboard, you can view your medications, request new prescriptions and manage your account with ease. Our team is available 24/7 via phone, e-mail, or instant message. No extra costs whatsoever. Our service is free. All major health plans are accepted. Free dose pre-packaging in an easy to use counter friendly dispenser. Health Savings and Flex Spend Accounts are accepted.